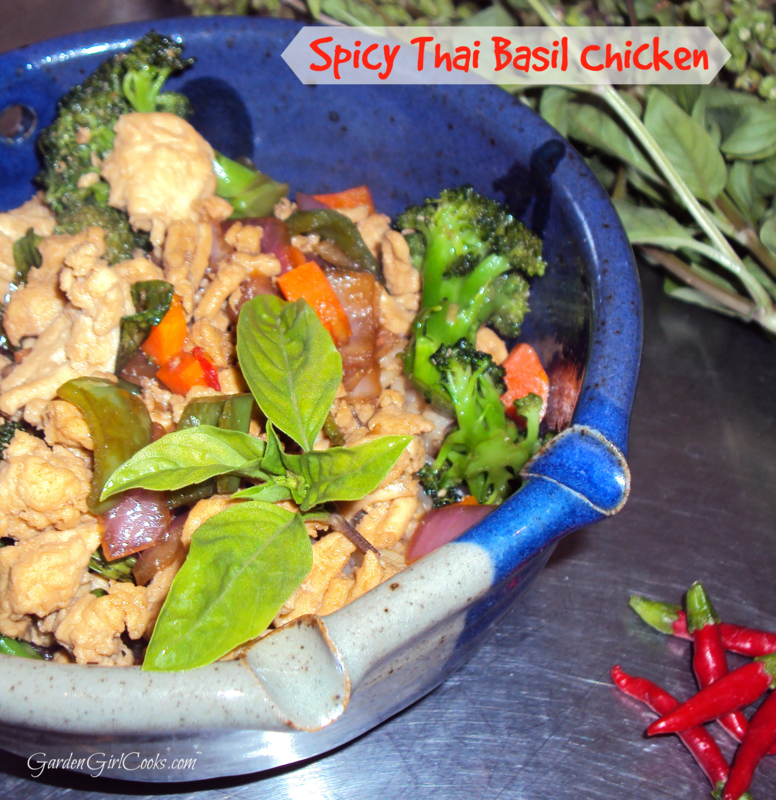 I love Spicy Thai Basil Chicken. If you see me at a Thai restaurant eating anything else, call the police. It’s a sign that I’ve been kidnapped! When I saw a Thai basil plant for sale I couldn’t believe my eyes. That was about 3 years ago and it has now taken over at least a third of my flower bed, but I don’t care. 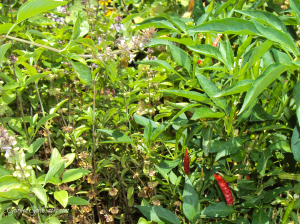 Last year I found a Thai Chili pepper plant, so of course, I had to get that to go with my Thai basil. They have been best friends ever since. See how cute they are! You may be intimidated to cook Asian cuisine, but it is actually quite simple. Once you get a few key staples you will be on your way to cooking restaurant style take out food every night of the week. Ingredients from my garden on left. Sauteed veggies on right. Sautee chili peppers in 1 tablespoon of oil until fragrant. Cook ground chicken until cooked through. Add the garlic the last 2 minutes of cooking. Remove cooked chicken from pan and set aside. 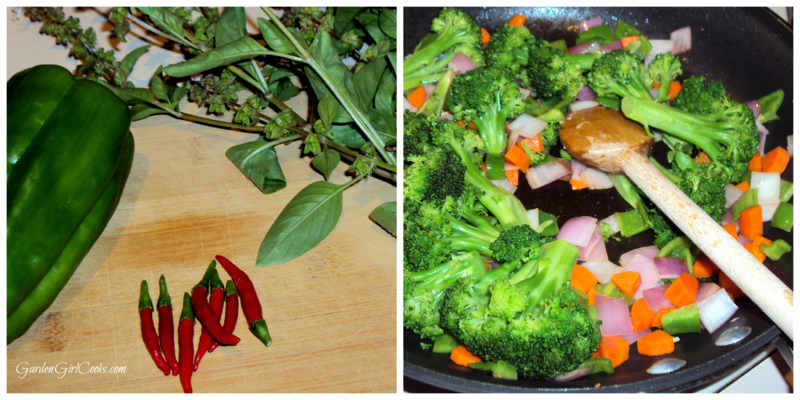 While veggies are sauteeing mix fish sauce, brown sugar and soy sauce. Add chicken and sauce to veggies and sautee until sauce is hot. Add basil leaves and cook until fragrant.